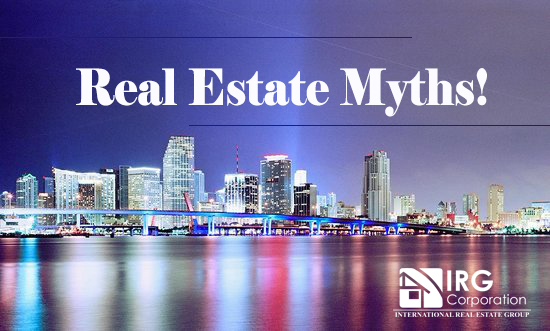 One of the first myths that existed in the real estate was that you became millionaire in an almost magical way, but, the reality is totally opposite to what is believed. This work requires a lot of effort and dedication to be able to obtain the benefits of those who talk so much. You can think that there will always be someone buying a house and someone selling it, creating potential customers everywhere. The flow of customers will always be variable and you will rarely have a job after another the first years, but from here you must create your brand so that you can reach as many as you can. Everyone believes that the only way to start real estate is having a lot of money, but there are a lot of basic or advanced strategies to invest in which you do not need too much money or too much knowledge to achieve your assignment. This is one of the points where there is less knowledge, since the agents do not earn a common salary that is paid every certain time, on the contrary, they earn through commissions which are only paid to them. gives when a successful business is achieved. Even, many of the expenses that are seen are 100% paid by the agent. No, at all, the location is not the only point that must be taken into account to value a property, that is just the tip of the iceberg. To really make a consistent assessment you must have several points such as comparables, locations or distribution that at the end will tell you what is the most real market price. Believe or not believe depends on how much you know about the elements that make up this work, so, research and constant approach to the market will clear all those doubts that arise at the moment you have to make some kind of real estate movement. “The truths are easy to understand once discovered, the detail is in discovering them”. Astronomer, philosopher, engineer, mathematician and Italian physicist. Success in real estate needs strenght , DO YOU HAVE IT ?